Lee McCorkle is no stranger to alternative music. 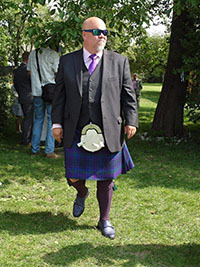 He’s spent a significant part of his life performing as Leisure McCorkle, touring and performing indie music as a solo act and as part of a band. At this point in his career, however, he’s ready to leave his life as Leisure, if only temporarily, to take his music further into the unknown. McCorkle wants to turn things upside down with his new project The Electronic Park. Named as an homage to a long-closed Charlotte arcade from his childhood frequented by kids looking to escape the monotony of youth, The Electronic Park is a counterculture venture with which McCorkle aims to return to the experimental music that captured his interest in that old arcade some years ago. 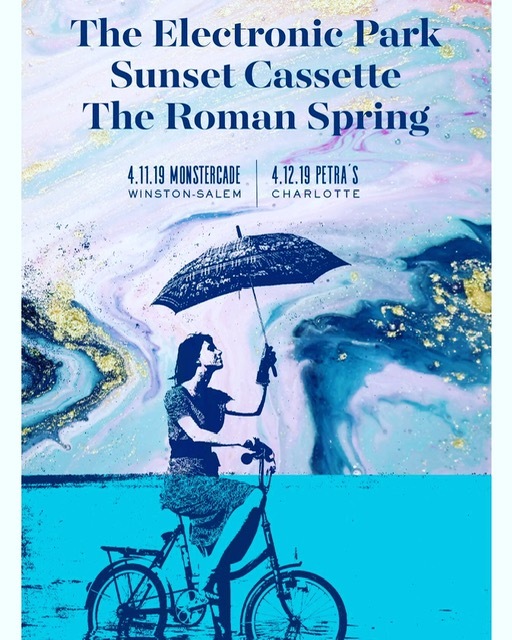 Three years of planning will finally come to fruition at Petra’s on April 12, where McCorkle will perform along with Sunset Cassette and The Roman Spring at Charlotte On the Cheap’s 10-year anniversary party. Queen City Nerve sat down recently to chat with McCorkle about his new sound, his new project and his New Wave inspirations. Queen City Nerve: What inspired The Electronic Park? Lee McCorkle: I’ve been playing music my whole life in rock ‘n’ roll indie new wave bands, and I’ve always wanted to play music that I grew up with, which is sort of new wave synthesizer music and it’s gotten financially and logistically easier to do over the years. At some point about a couple years ago, I decided that I was going to put a project together that is more like a DJ meets a band as opposed to a rock ‘n’ roll band. 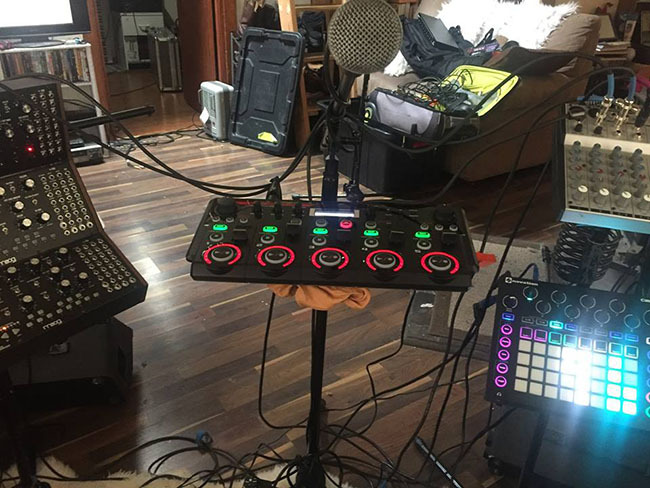 Electronic Park is me playing about nine modular and semi-modular synthesizers, and ultimately I hope it will be kind of a project that is more organic and experiential as opposed to trying to be commercially successful. The songs are longer because of the kind of music that I’m playing, and I use loopers and Groovebox and some other things. So it’s different than say, playing a rock club with a band or playing acoustic. Do you feel like you’re moving into a more transformative phase with your music? I just really wanted to do something where I could create something new. I don’t know what that means yet exactly but I wanted to do something that’s completely different from what I’ve been doing. [Electronic Park] still has my songs, but I’m rethinking the ways in which I’m using electronic instruments and ambient sounds; I’m creating sound architecture. I’m trying to completely do something that’s away from my own persona into something that’s a musical persona. I feel like music has gotten so corporate and formulaic, I feel like to be an indie artist I’m pushed to go in another direction. What drew you to synthesizers? I want to do something that’s a little more working on architecture of sound, like putting them together and layering and things like that. Less what you would hear on the radio or something that’s trying to be new. I’m actually mixing a couple of different kinds of genres because most people who play modular electronic music don’t sing, or if they do it’s minimal. So I’m kind of mixing my love of shoegaze music. I have two loopers and I use those like a DJ to layer vocals, and I want the vocals to end up being just another part of the sound, as opposed to one dominating the other. I want it to be an organic sound that I layer into the music. What’s your approach to live shows? Are you rehearsing a lot beforehand? I like to plan things. I would love to go into a rehearsal space for like a month and just work it all out and get everything set, but I just don’t have that luxury right now because I literally tour so much and I play almost every night so it’s really difficult. I’m doing another tour in the fall in America and I think I’m just going to concentrate on Electronic Park for the majority of those shows. I’m going to basically spend two weeks preparing for it. [But] I’ll never be able to make it super choreographed, it will always be a little bit on the fly. The plus and minus of playing the modular synthesizers is that no show will ever really be the same twice, because those instruments don’t lend themselves to playing exactly the same way again and again. They’ll always be a little different, just because of the nature of the beast. Why did you choose Petra’s for The Electronic Park’s debut? I’m trying to find my niche in Charlotte and Petra’s was the logical spot. It’s friendly towards DJs and I’ve played there with my band before and the whole vibe is cool. Everyone is into similar and different music and it’s just one big experiment. Any recorded material coming soon from The Electronic Park? I’ve given myself a chance to grow, I’m trying to make a record this year with it. I’ve already talked to a couple people about doing something, and I’ll see what I can make happen. Wherever I record is probably going to be live. I’ll just sit in the studio and play live and just capture the best of what I’ve done. Where do you ultimately see this project taking you? Eventually I want to go on tour and I want to have a whole show. I want to play some different kinds of festivals with different acts and play with DJs. I’ve never been afraid to play with different kinds of music. Some rock clubs probably won’t like what I’m doing, they won’t understand it. It’s kind of like Fugazi back in the day. It might be a coffee bar, it might be a DJ booth, it might be wherever, but that’s where I’m gonna play. The Electronic Park plays with Sunset Cassette and The Roman Spring on April 12 at 8 p.m. at Petras, 1919 Commonwealth Ave. Tickets are $7.